Who can resist a face like the one above? Not to mention, the beautiful product this little goat creates. Goat cheese is one of our very favorites. Just take a look at our breakfast boards (panko and herb crusted morsels are our specialty). We first met Hannah and Greg from Blue Ledge Farm at a “farmer’s dinner” years ago. They were just starting out, and Blue Ledge cheese was a featured item on the menu. Hannah and Greg stood before us, new and excited to present their product to us diners. We’ve never forgotten them! We at the inn have enjoyed featuring their cheese for breakfast, as well as seeing how their business has grown! We can’t imagine a better time to highlight Blue Ledge Farm, as their cheese is the perfect party treat for your New Years celebration! 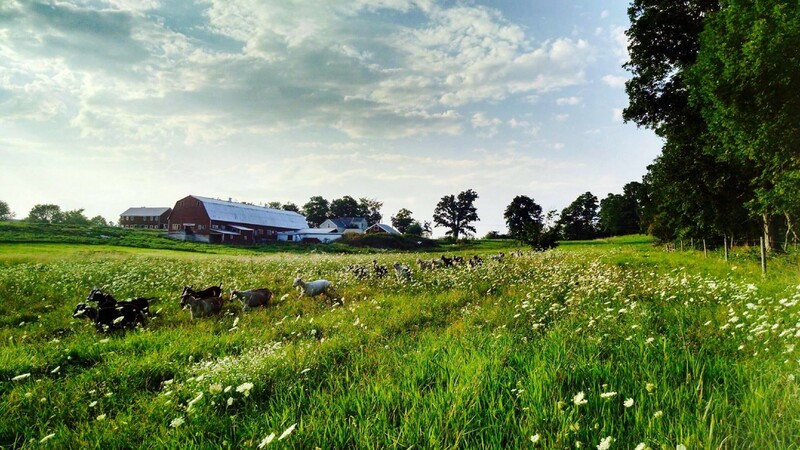 Hannah and Greg began Blue Ledge Farm in 2000 with only four goats. 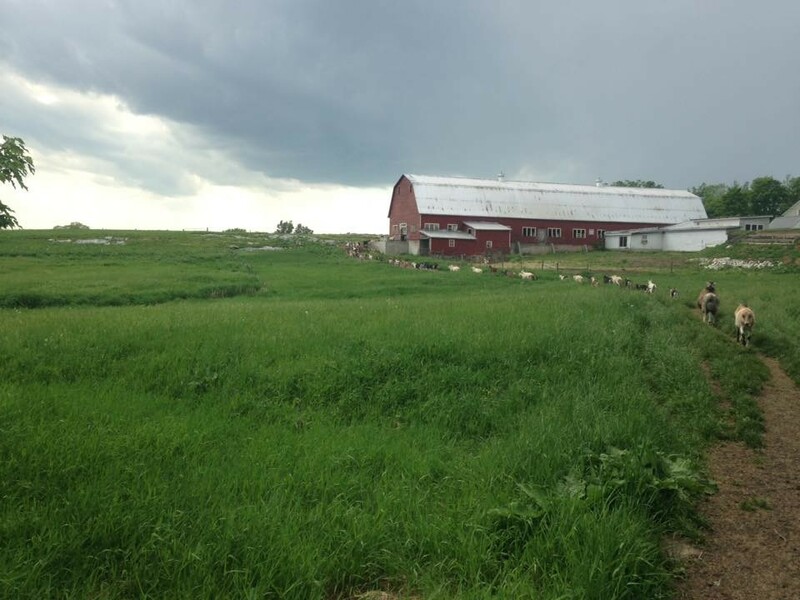 The Vermont Land Trust in 2002 helped enable them to make their dream of artisanal cheese production a reality. 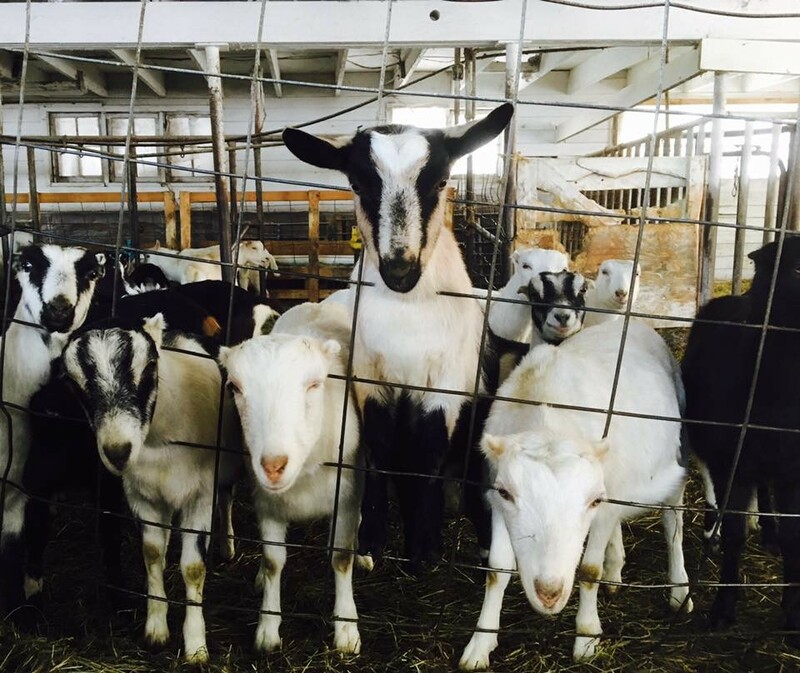 Today, Blue Ledge Farm spans 150 acres and is home to 150 Alpine and LaMancha dairy goats. 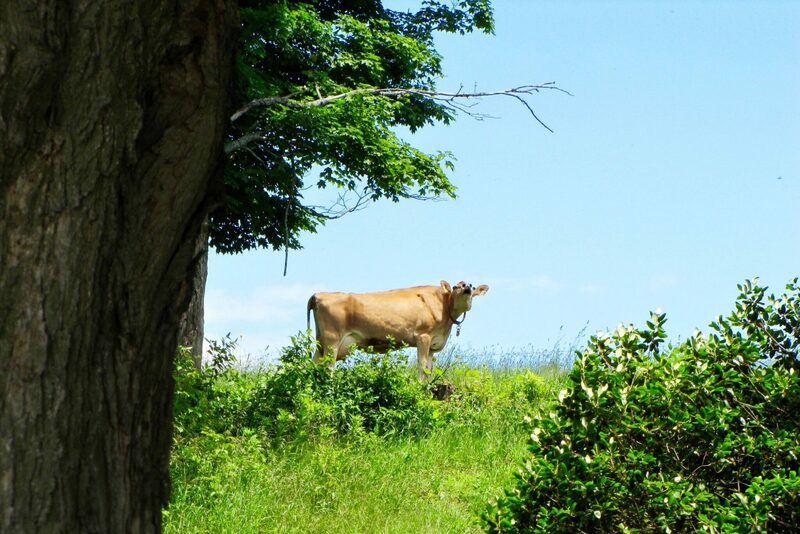 Hannah and Greg also began purchasing Ayrshire cow’s milk in 2006. This milk came from a grass-based farm next door and supplemented Blue Ledge’s milk supply through the winter months. 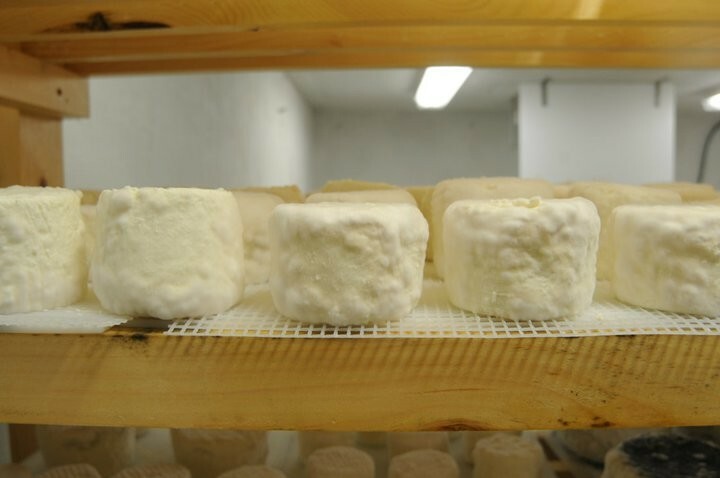 Blue Ledge now processes goat and cow’s milk year-round to produce 50,000 pounds of cheese annually. 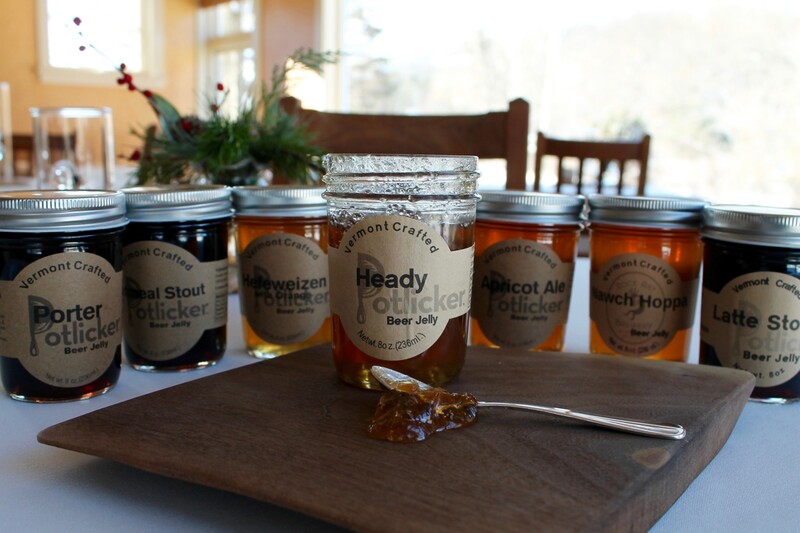 The passion is strong and long-lasting at Blue Ledge Farm. This is due to the their relationships with customers, as well as their love for animals. Hannah notes, “It is nice making a product that people have a relationship with and have memories around.” Food plus emotion sounds like a recipe to which all foodies can relate. Sometimes people share these moments with Hannah and Greg. One couple, for example, got engaged over some Blue Ledge cheese! 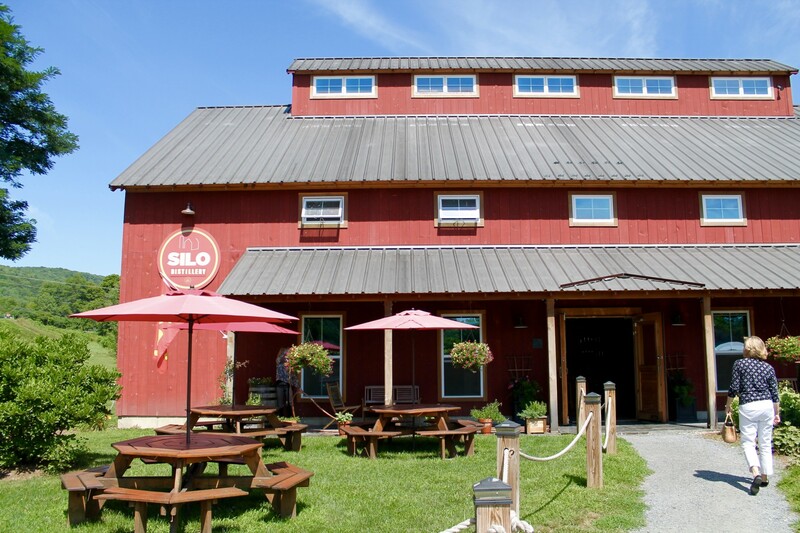 A few Vermont locals have also told Hannah and Greg that upon returning home, they insist on their parents having Blue Ledge cheese waiting for them in the fridge! “Those stories mean a lot to us,” Hannah says. Beyond this, Hannah speaks to the love and affection of goats. 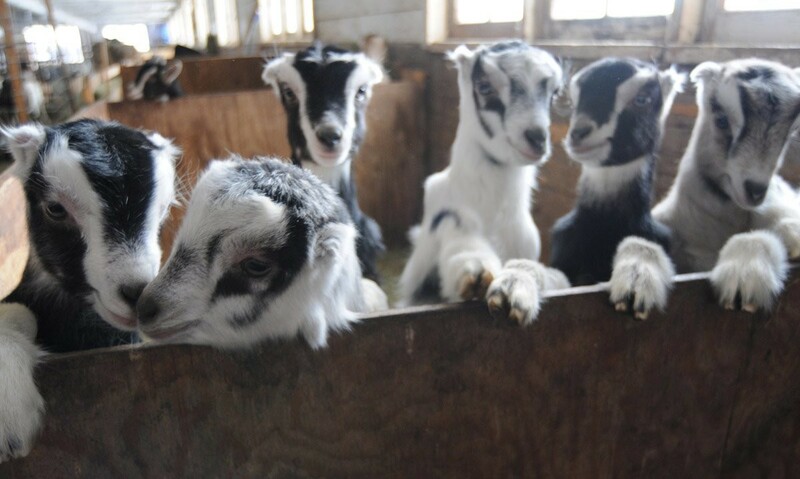 We can certainly relate, based on our previous visits to local goat farms. “One only needs to spend a little time with them to remember the perks of this job,” Hannah remarks. As a farmer, the act of seeing animals be born, thrive, and grow is nothing short of incredible. 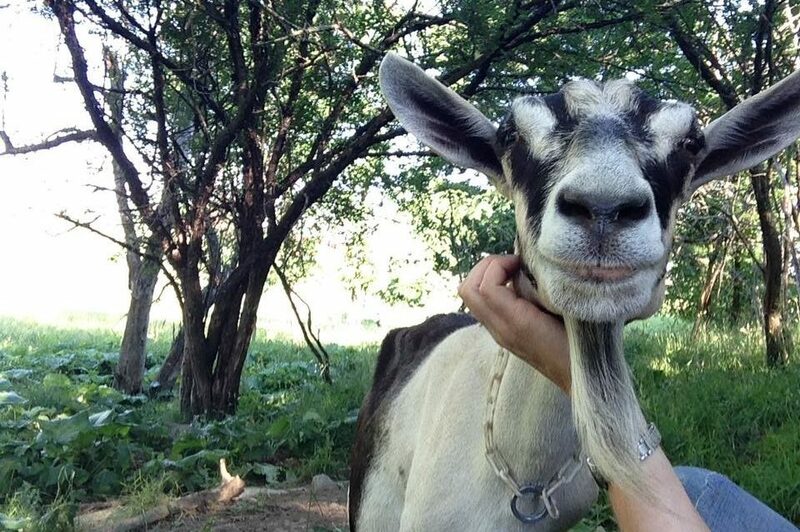 Goats, in particular, are extremely personable and easy to love. “I also thrill in seeing how genetics travel through the generations, and one doeling might develop and be a spitting image of her great-great-grandmother whom she may have never met!” One thing is for sure – Hannah and Greg are deeply connected to their animals. They care for their goats like family, concerned about their happiness, health, and well-being. This, most certainly, is reflected in Blue Ledge Farm products. Hannah and Greg continue to show their passion for the farm life as artists. Having both gone to school and explored careers in art, Hannah eventually took a job on a small family cow dairy farm. There, she caught the “farming bug” – the rest is history. 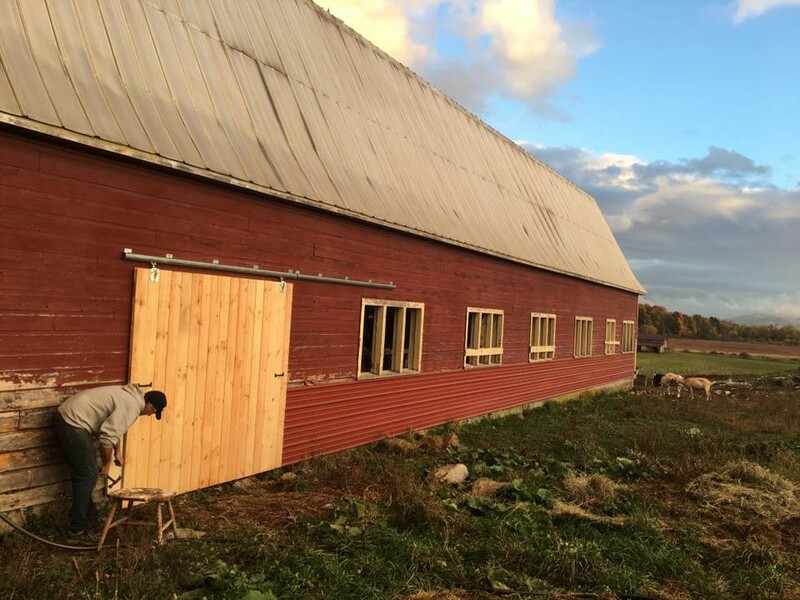 Now that their children are a little older and the farm has become more sustainable, Hannah and Greg have been able to return to their creative roots, painting and writing part-time in the fall and winter. “Art and farming make a wonderful combination, and leads to a nice life balance for us (though always extremely busy! 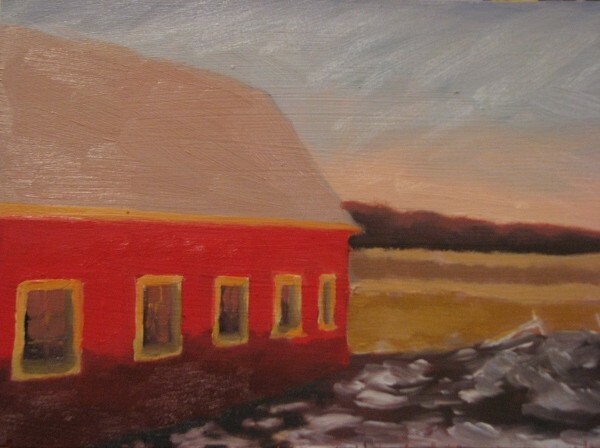 ).” You can see some of Hannah and Greg’s paintings here. Creamy and soft, nutty and tangy – so much variety in texture and taste can derive from goat’s milk. And Blue Ledge Farm knows how to do it right. Often found at the Woodstock Farmers’ Market, Blue Ledge cheese is fantastic on its own or with an accompaniment. We suggest grabbing your share at the local farmers market before it runs out. It’s sure to be a crowd pleaser this New Years!